There are a lot of prefab and modular options that people look at as ways to save money and benefit in other ways, too (less waste, less mess, transportable buildings, easy modifications later on). But this has to be one of the most cost economical building options we’ve seen this year. It’s called a “dome house” and they can be built for $3500 for starters. The construction method for these “binishells” is inflatable concrete. They inflate a pneumoform (a balloon, more or less) and then place steel rebar around the balloon shape as structural reinforcement for the later structure. Then they pour concrete over top of this whole thing, and it hardens over it, so you wind up with steel reinforced concrete in the shape of the balloon. The make all sorts of shapes, including round ones and bubbly-shaped ones, and then these small, simple residential-style dome houses. 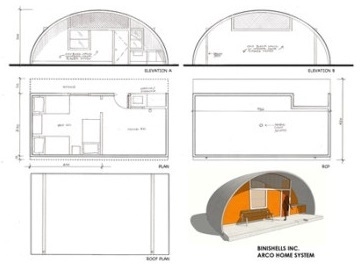 The inexpensive building method was pioneered by Architect Dr. Dante Bini (hence “binishell”) in 1964, and Nicolo, his son, further developed the binishell method. They use these for all sorts of purposes. Yes, residential, but also commercial, resort, recreational, and educational buildings. As you can imagine, the build time is very fast, and the materials are simple and available locally usually. Not much labor, either. You do need experience with rebar, obviously, and a way to pour the concrete. And, of course, you need those special items: the balloon “pneumoform” (these are reusable, by the way). Also, you can knock the concrete down when you don’t need them any more. 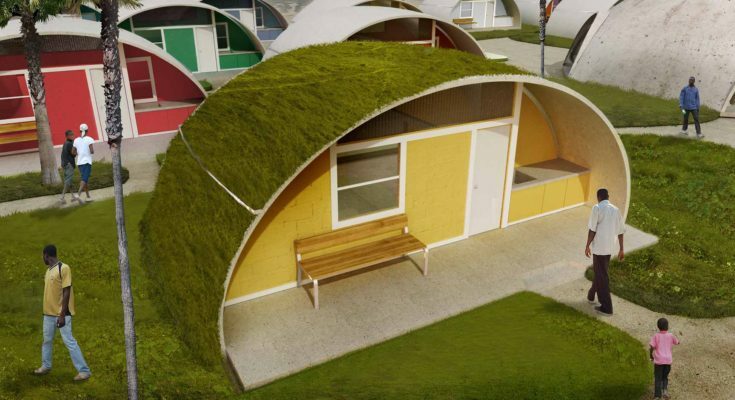 So its an option for disaster relief housing. To see more of Binishell’s work, find them in the Building Homes and Living directory. You can see more about these dome houses as well as some other options for going even further with the idea.